As an undergraduate at Tougaloo College in the late 1990s, I was fortunate to look beyond the school and explore some of the arts projects taking place around Jackson, Mississippi. Somehow I stumbled onto the activities of C. Liegh McInnis. At the time, as an undergrad, I only witnessed him presenting his poetry at some of the local sets. I had a vague sense that he was producing a poetry book here and there. When I departed for Pennsylvania State University in 1999, I reminded myself to continue following McInnis works from afar. Since that time, I tracked his work and was deeply inspired by his high level of productivity over the years. 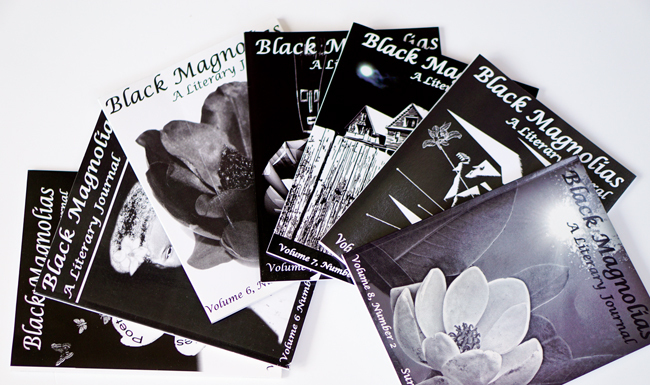 Volumes of poetry, a book of short stories, a collection of essays, a book on Prince, audio cds of poetry readings, production and editorial work with his magazine Black Magnolias (2001-2014). Editor/collaborator for the autobiography of a Civil Rights activist. McInnis does it all. 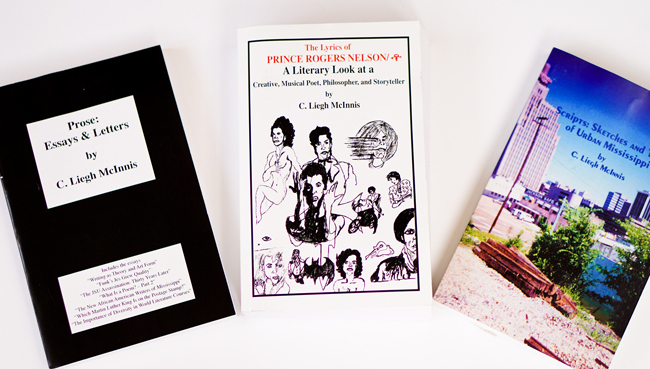 McInnis has published essays, a book of short stories, and an examination of lyrics by Prince. In many respects, studying McInnis was an important early gateway into several other artists producing across multiple genres such as Amiri Baraka, Larry Neal, Carolyn Rodgers, Kevin Young, Elizabeth Alexander, and Ta-Nehisi Coates. Perhaps those figures are more widely known in African American critical discourse. For me however, McInnis, more than many others, excelled in the art of possible. Without a local model in my mind like McInnis, I could have hardly had the motivation to pursue various self-publishing enterprises, like this blog. You can keep the ideas and creative energy bottled up somewhere in private. Or, you could always pull a C. Liegh McInnis. Recently, I was expressing a little frustration with some artists and those of us in African American literary studies. I was irritated and wondering if we were doing too little for readers and audiences. But maybe I was being unfair. What if I hadn't lucked up and discovered a figure like McInnis at an early point of my career? Wouldn't my view of the possible be infinitely smaller? Although I first encountered McInnis on the spoken word scene as an undergraduate, I later learned that he self-published his poetry as well. He initially published those books in the late 1990s and then released updated editions of the books in 2000 and 2007. 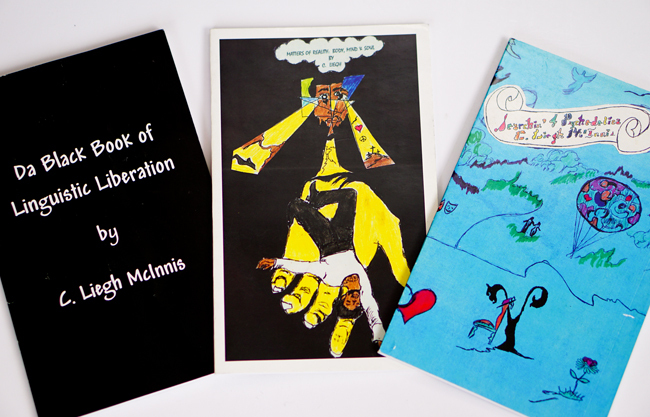 A prolific and multidimensional writer, McInnis published essays and short stories. He also produced a scholarly book on Prince. In graduate school, I started reading Amiri Baraka's writings on jazz artists and Greg Tate's writing on a range of artists as well. But McInnis was one of the first literary artists I encountered who produced extensive analyses on a musician. 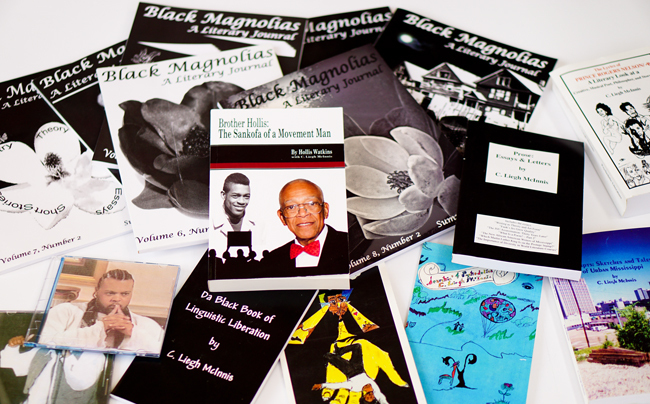 For over a decade, McInnis led the production and editing of Black Magnolias--an arts journal with a black and southern focus. I first began receiving copies of the journal while I was a graduate student at Pennsylvania State University. I continued subscribing and reading when I moved to St. Louis. I was intrigued to see McInnis showcase his skills beyond poetry and nonfiction writer by demonstrating that he was also a highly capable publisher/editor. 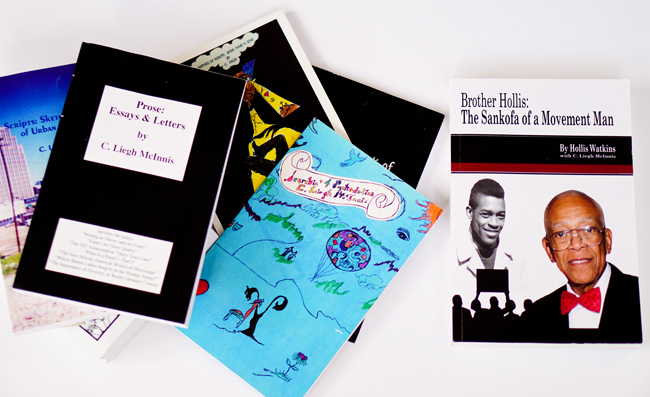 Most recently, McInnis collaborated with Hollis Watkins on the production of Brother Hollis: The Sankofa of a Movement Man (2015). So again, he takes on the role of editor, arranger, transcriber, and "author" of a different sort. And yet again, he provides a model for what's possible and necessary.